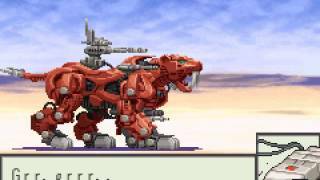 Play Zoids Legacy online with Game Boy Advance browser emulation for free! 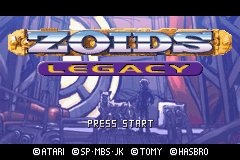 Zoids Legacy (GBA) game rom is loaded with features in our flash, java and rgr plugin emulators. Nothing to configure, we've done it for you! The attack that made me fall in love with it. On the planet Zi, far away in the universe, there are both good and evil inhabitants. 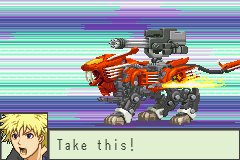 To gain control of the planet, they use mechanized robots called Zoids to battle for control of the world. 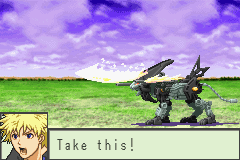 During an experiment, Zoids warriors from different eras, the Chaotic Century and the New Century, collide. 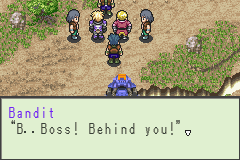 Players take control of Zoids warrior Zeru, who wants to restore the chaos with the help of his friends Van, Fiona and Bit Cloud. There are different types of Zoids to choose from, and each one of them can be upgraded and customized.Zeru is given a simple robot and has to participate in tournaments to earn money and collect new ones. He gets to meet Juno who gets kidnapped and a man called Dr. T tells him about the fusion that brought past, present and future together. 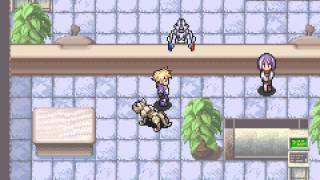 By fighting in turn-based battles (with up to six-to-six match-ups), the player collects crystals left behind by defeated Zoids that can be turned into new ones by visiting the lab in one of the many towns. There, the robots can be upgraded too in different areas, with defensive and offensive elements, for both long-ranged and melee combat. Prior to each match players define the deck command. 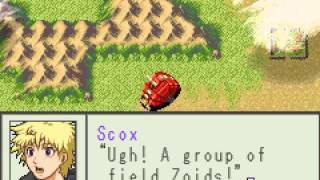 This affects the entire team, influencing the cash, salvaged parts or offering the possibilities to fuse all Zoids into a large creature. 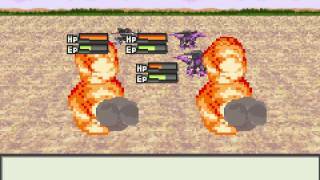 Each turn offers the player to attack, wait (and regenerate) or use an item. 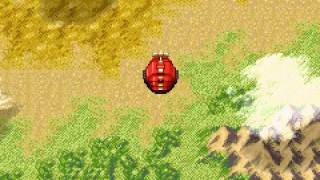 Some Zoids are accompanied by organoids, robot friends, that can fuse into the main Zoid for enhanced abilities.The main story mode takes place in 40 villages with 151 base Zoids to collect. 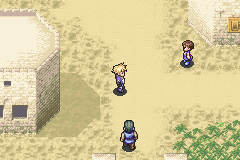 There is also a challenge mode with consecutive, increasingly difficult battles, and multiplayer through the link cable. 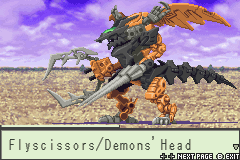 Except for fighting, this mode can also be used to trade Zoids and parts. Zakra, go to the bar. You need to cross the sea, right? The Blitz team is at the bar, make sure to talk to everyone in every town and go to every shop and open building. You can find good stuff. The only way 2 disable sound on any game is 2 turn off the sound on your computer. THAT IS THE ONLY WAY!!! No ifs ands or buts. 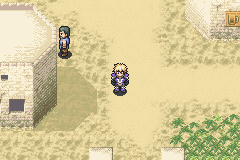 Gojulas data can be found in the ruins. where can i get a gojulas data? why dont u try to use 6 Geno Troopers,. it fast and Strong!! Hello there, anyone still playing the game? ?